Prof. Yung Shu-Hang Patrick, is a world-recognized prominent leader in the field of orthopaedic sports medicine, being the Chair or Board Member of several influential local and international organizations in sports medicine and arthroscopy surgery, such as International Federation of Sports Medicine (FIMS), the Asian Federation of Sports Medicine (AFSM), The International Society of Arthroscopy, Knee Surgery & Orthopaedic Sports Medicine (ISAKOS) and the Asia-Pacific Knee Arthroscopy Sports Medicine Society (APKASS). 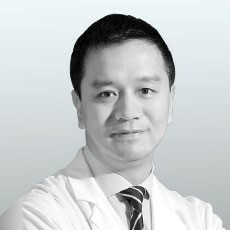 He is a keen researcher and educator, leading a team of researchers in The Chinese University of Hong Kong and working for the advances in sport medicine and arthroscopy surgery. He also serves in the Anti-Doping Disciplinary Panel of the Hong Kong Anti-Doping Committee, Sports Federation & Olympic Committee of Hong Kong, China (SF&OC). Prof. Yung’s personal achievement and commitment in community services have brought the local development of sport medicine and arthroscopy surgery to a new height. In recognition of his international and local contributions in the field, he has been awarded the “Ten Outstanding Young Persons of Hong Kong” in 2009, the “FIMS Fellows” in 2011, and the “Award of Secretary for Home Affairs’ Commendation Scheme” of the Government of HKSAR in 2015.